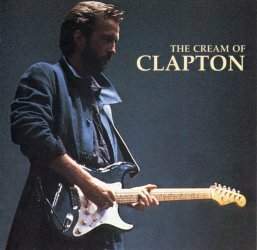 I've been listening to Eric Clapton music in one form or another, either in a band or solo for as long as I can remember. Being a sixteen year old I know this isn't saying much but this one album is a stunning compilation outlining his career. It's a shame the record company didn't put it out later so that they could catch some of his more amazing song writing skills like tears in heaven or anything off the pilgrim album. All in all one of the best Clapton compilations money can buy. I'm 17 and this was my first Clapton record, ever since all i have done is dig deeper and deeper finding new old songs and he just keeps pulling you in he's a virtuoso of the guitar his past and present show us that. I love every song on the album, it seems Eric put forth a lot of time on each song. The songs are incredible. Eric's music touches everyone even the younger people like me. I love this album, but most of all for the songs with Cream. I can't pick a favourite song because they're all so damn good! I'm 18 and I keep changing my mind who my favourite band is or songs, but every time I put in a Cream record or CD or tape, I know who it truly is. It never ceases to amaze me how three musicians can make such brilliant, intense quality music.